Block’s from Bohemia 1820s to ..
Scharff (1850s) from Germany and Marx (1820s) from Prussia to ..
Bloom’s from Germany 1830s to ..
Ghertner’s from Romania mid-1800s to .. 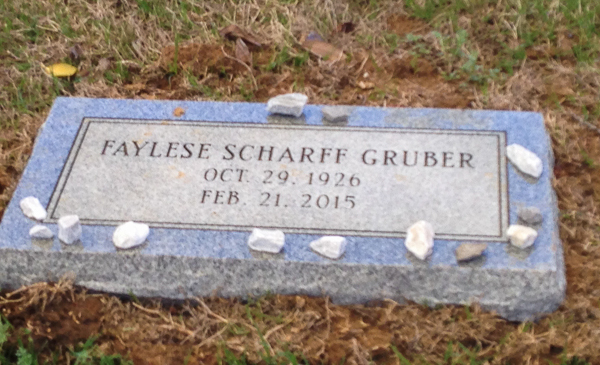 I visited Memphis over the weekend of 2- 4 April 2016 for the unveiling of Faylese Gruber’s footstone, which is alongside her husband Leslie’s stone. 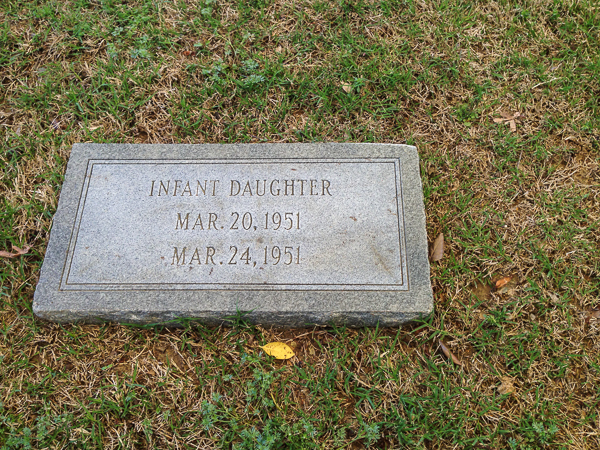 This was at the Temple Israel cemetery. 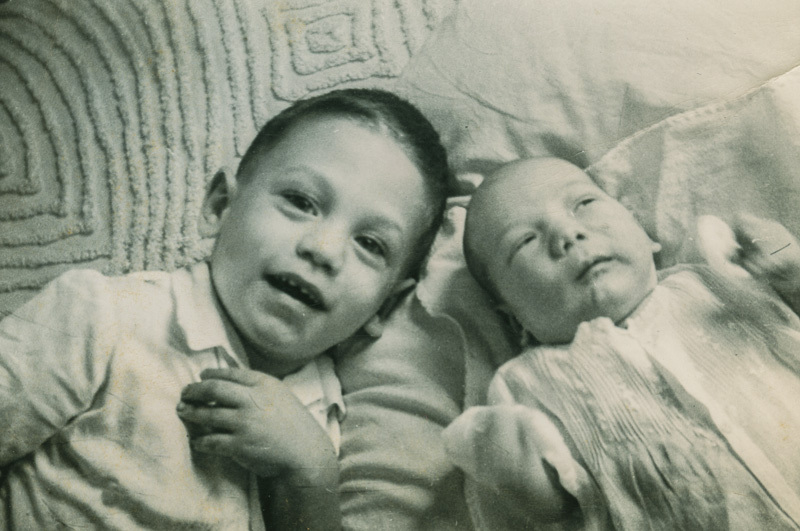 I learned Faylese and Leslie also had another child, a daughter who only lived 4 days in March 1951. 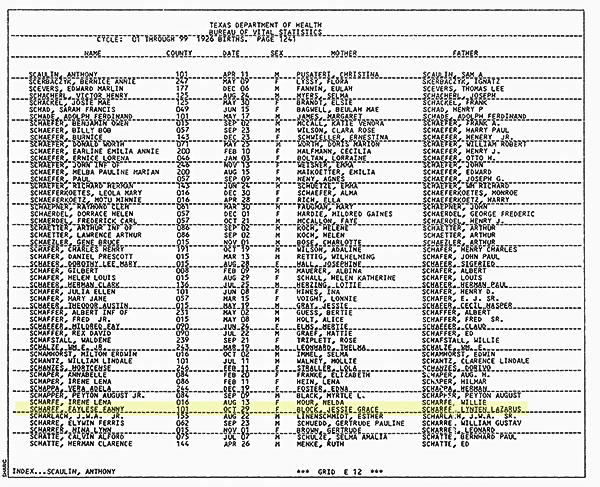 Faylese’ birth record from Houston, Texas. 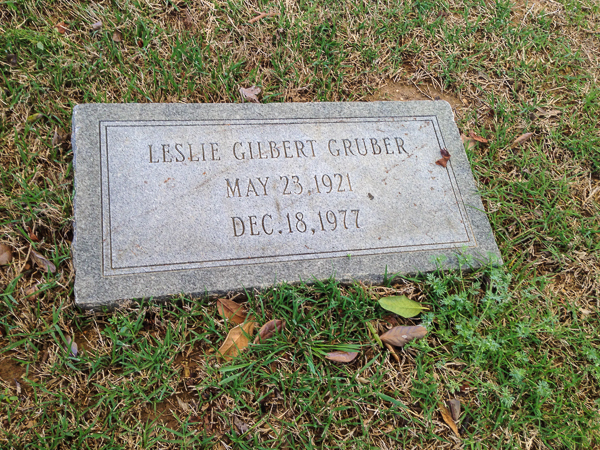 Here are the Gruber family headstone and Leslie’s and the unnamed infant daughter’s stone. 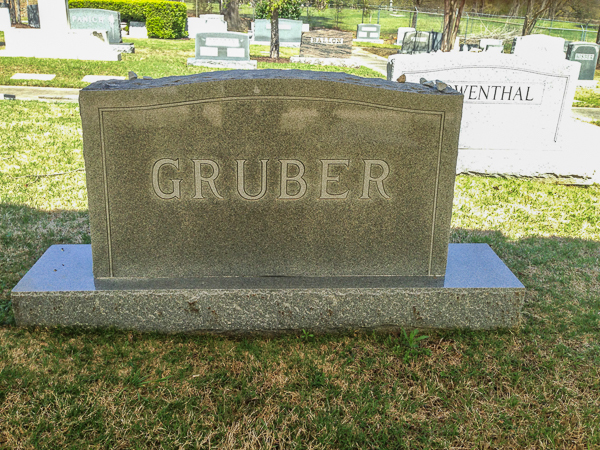 This entry was posted in Uncategorized and tagged Faylese, Gruber. Bookmark the permalink. Who put the ‘h’ in Ghertner?